Moto2 Rider, Luis Salom Dies After Crash At Catalunya Grand Prix Practice, Barcelona. "24-year-old Spanish Moto2 rider dies after crashing during second practice at the Catalunya Circuit in Barcelona." 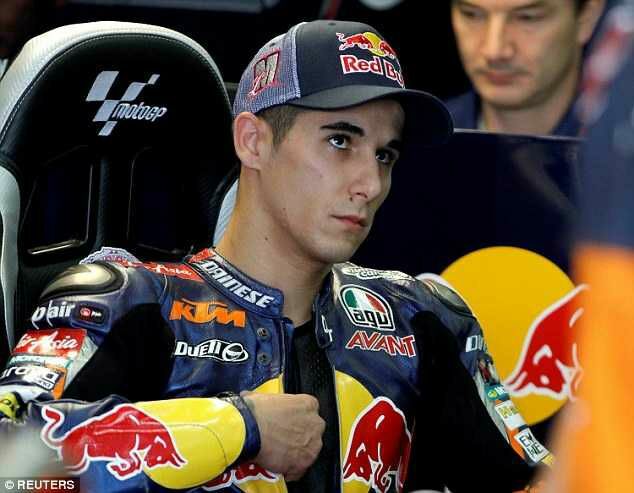 Sport's governing body announced the death of Spanish motorcycle racer, Luis Salom who died after crashing during practice at the Catalunya Grand Prix. "Salmon in action before the crash." "Salom is the first rider to die during a world championship event since Italian Marco Simoncelli at the Malaysian MotoGP in October 2011." 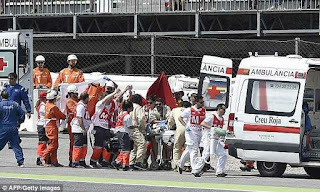 "He underwent surgery, but despite the best efforts of the trauma team, he passed away," said Giancarlo Di Filippo, a medical director for the International Motorcycling Federation. "Salmon being rushed to the hospital." He passed away at 4.55pm local time on Friday. Race directors said the weekend races would go on as planned with the concent of the Salom's family, the riders, teams and the safety commission but races will be done on an alternate track layout.